Plunkett Cooney has taken its diversity initiative beyond the walls of the firm and directly to our clients and the communities we serve. We recognized that many of our clients were implementing programs and strategies to attract and retain a diverse group of employees. Our attorneys approached some of these organizations and met with their human resources executives and diversity directors to exchange information about our programs. The exploration proved to be mutually beneficial with the participants identifying key takeaways to enhance their respective diversity efforts. Another firm client seeking to begin its own diversity initiative actually contacted Plunkett Cooney for assistance. Partnering with our own diversity consultant, the former chair of the firm’s Diversity Committee assisted the client with designing and implementing its own program. Today, the firm has a formal diversity initiative in place for its workforce. 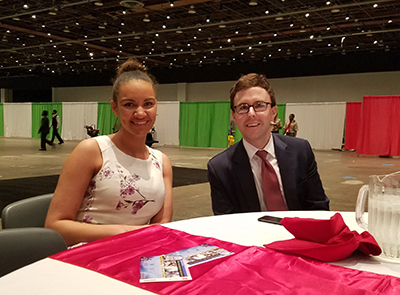 Plunkett Cooney attorneys Alannah Buford and John Cahalan pose for a picture before the start of the 2018 NAACP Freedom Fund Dinner at Cobo Conference Center in Detroit. 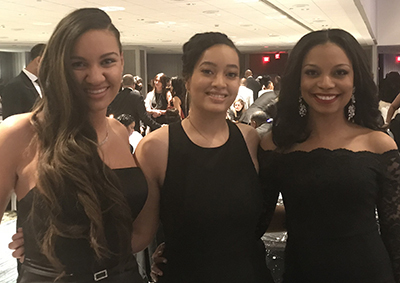 a picture at the 2018 Wolverine Bar Association Barrister's Ball. Plunkett Cooney was among the ball co-sponsors. 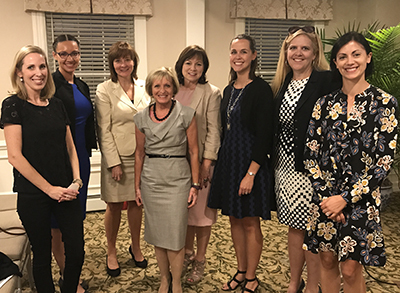 Members of the Plunkett Cooney Women's Leadership Committee take time out with Carolyn Cassin (fourth from left), the keynote speaker at the September 2017 Women of Influence Speakers Series at The Community House in Birmingham. Joining Carolyn from left to right are attorneys: Lauren McMillen, Alannah Buford, Carolyn Jereck, Maryanne Foster, Karen Beach, Carrie Kennedy and Alex Lannen. 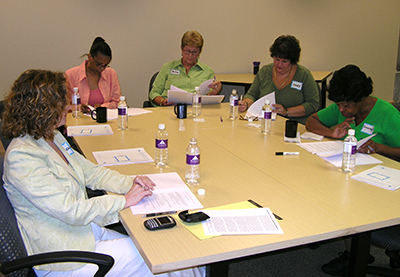 Firm members work on a scenario-based activity during formal diversity and inclusion training session.